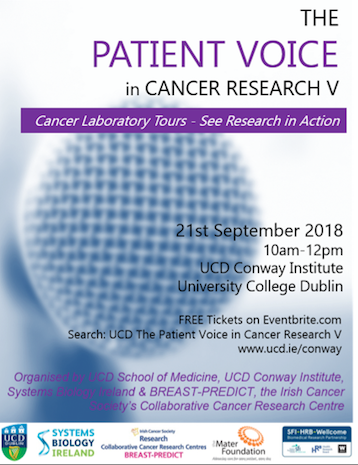 On September 21, 2018, the fifth Patient Voice in Cancer Research event took place at University College Dublin’s Conway Institute. 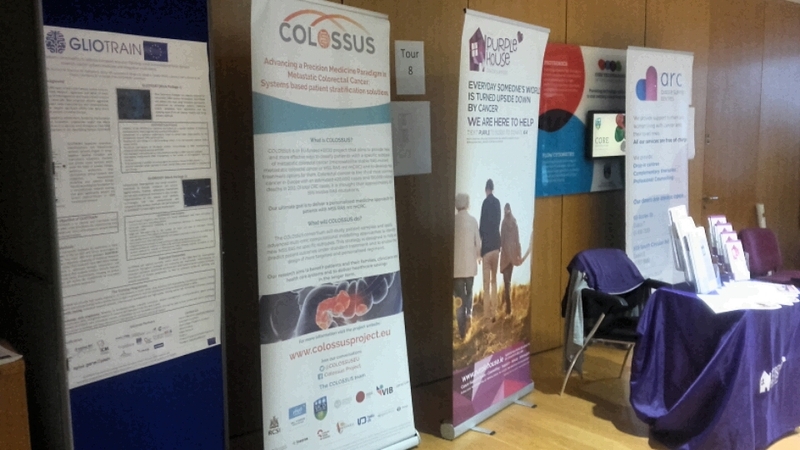 At this interactive event, RCSI‘s Dr Alice O’Farrell presented COLOSSUS at an exhibition alongside several other Dublin-based cancer research projects with Patient and Public Involvement (PPI) aspects. The event drew a crowd of more than 100 people who were invited to choose from eight laboratory tours and short talks. 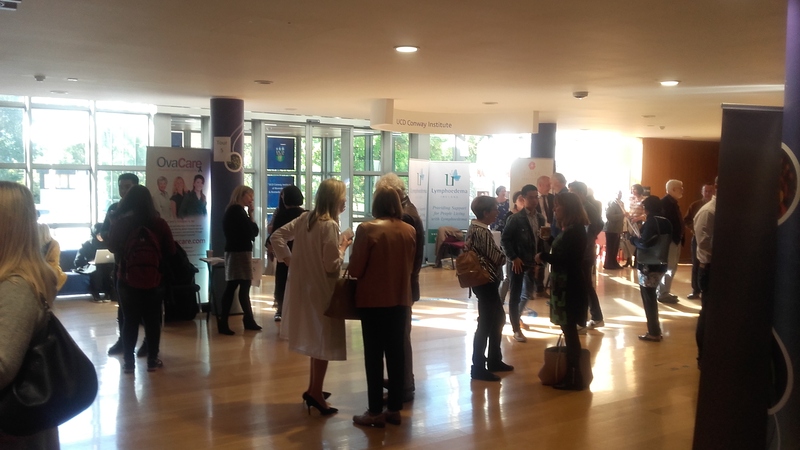 Congratulations to the organizers, our partners, UCD for a successful, informative, well-attended event. Colorectal cancer is the third most common cancer in Europe. COLOSSUS aims to provide new and more effective ways to classify patients with a specific type of colorectal cancer (microsatellite stable RAS mutant metastatic colorectal cancer or MSS RAS mt mCRC) and to develop better treatments for them. Our ultimate goal is to deliver a personalised medicine approach for patients with MSS RAS mt mCRC that is currently not available. Learn more about COLOSSUS here. Grant agreement number 754923; EC contribution €5,996,359.50; Duration 60 months; Starting date 1 January 2018.